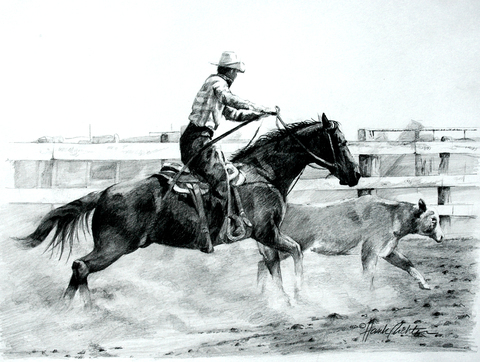 During a roundup when the calves are separated, a good horse with “cow sense” is indispensable. Here, a cowboy rides off a momma to the doctoring arena. It’s a good team.